World class organisations are not necessarily the biggest but they are excellent at what they do. They have the people, systems and processes in place to ensure they deliver exceptional value to their stakeholders. Stakeholders, be they internal or external,need to understand where your business is heading. From Strategic planning all other tactical,functional and operational activities will flow and work to deliver world class performance. Intelligent Performance will facilitate organisational strategic and business planning as well as strategic human resource planning. 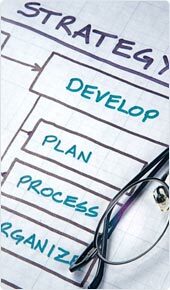 An effective organisational structure facilitates strategy execution through communication, allocating responsibilities and aiding in process and work flow efficiencies. Functional, geographic, matrix, network,virtual or hybrid – the choices are varied – which one will help you deliver your organisation’s strategic vision and what do you need to do to make it effective? Is your organisation’s culture helping or hindering your efforts to be world class. From underlying values and beliefs, behaviours and traditions to workplace myths, processes and the physical environment all will impact on the organisation’s ability to successfully deliver stakeholder value. Let us work with you to develop a world class performance based culture. Organisational change has multiple hurdles to jump if it is to be successfully implemented. Once there is a need identified and action plans developed, will you have the support, buy-in and resources to deliver what is required in the time it is required? Successful performance management across an organisation is as much a result of the right culture as it is the right processes. Do you know what to measure and how? What are you doing when performance goes off the rails?